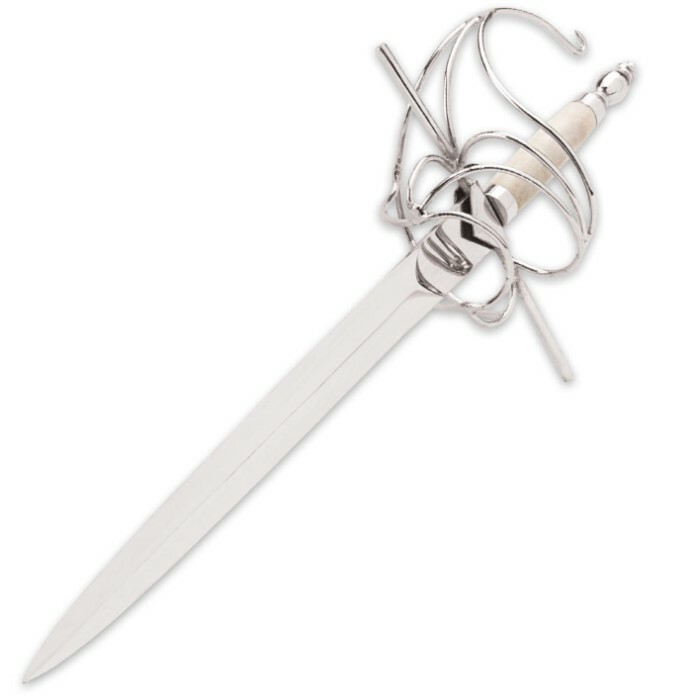 You must have the Bone Handled Dagger for your collection. 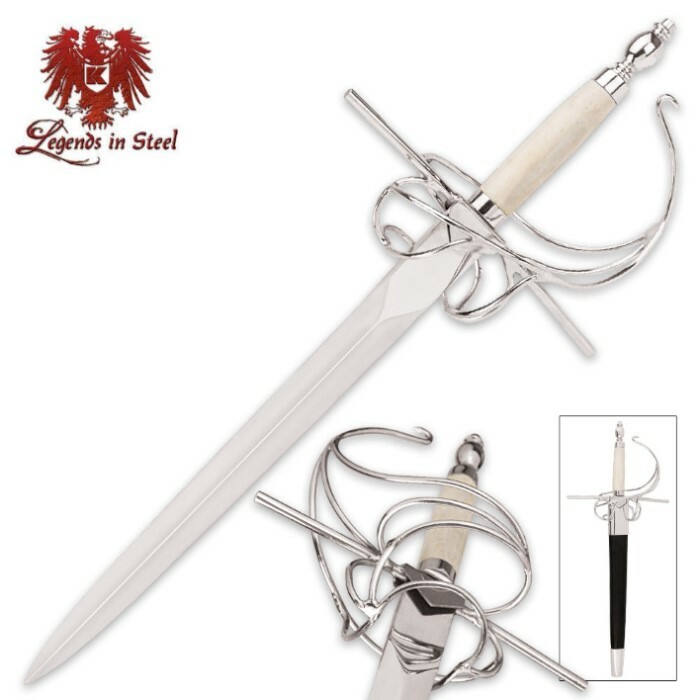 It is a picture of elegance with its hand-polished, chrome-plated basket hilt and nut. It features a genuine white bone handle going down to an 11" high carbon steel blade that has also been hand-polished. 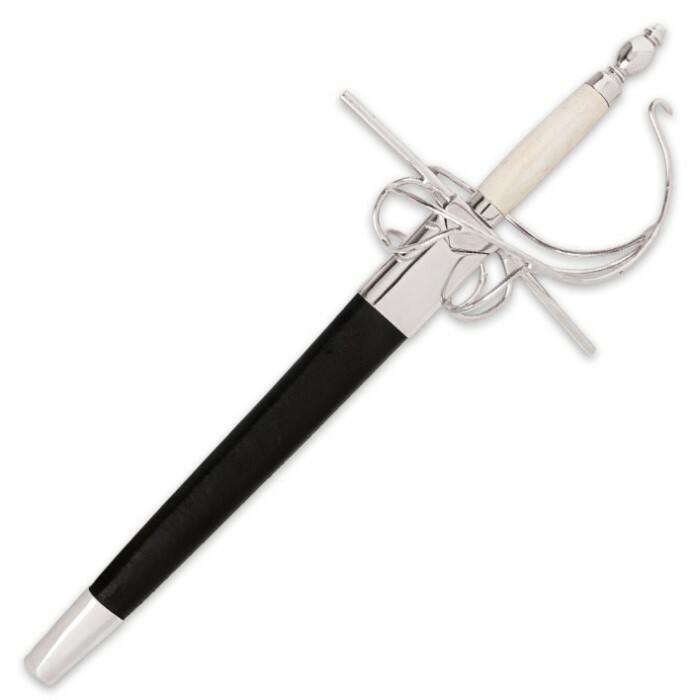 The wooden scabbard covered in genuine black leather completes this picture of pure refinement. I was torn between 3 and 4 stars. I'll list the faults and everything else should be considered a plus. The biggest disappointment that could have made everything else forgivable is that the blade is not sharpened. I know it doesn't specify anywhere that it would be, but I was really expecting a legitimate dagger. Maybe that's just a personal issue. The point where the scabbarf meets the hand guard isn't a very good fit. The angle isn't quite right and the blade is still visible. Lastly, it came shipped absolutely coated in grease. The entire knife was greasy and took a decent amount if effort the clean. The hilt is still somewhat greasy. The scabbarf came with a sticker on it that left some residue I couldn't easily remove. It does absolutely look nice as a decorative piece on a shelf, but it's nothing special up close. For $40 I might consider giving it 5 starts, but it was a slight let down at $60.